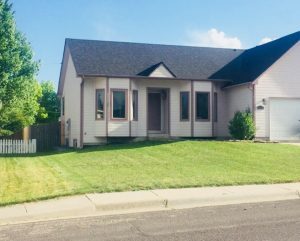 3509 Land Court Cheyenne WY is a new listing! Wonderful ranch style home located in a beautiful neighborhood on the east side of Cheyenne! You’ll be close to Dell Range and Pershing Blvds for shopping, restaurants and groceries. This home features four bedrooms, three bathrooms and a two car attached garage. This home offers a sunny open floor plan, vaulted ceilings, main floor master bedroom with a master bathroom and a walk-in closet. This home comes with an inviting family room in the basement and a large fenced back yard with a deck! See full listing details here! The closest elementary school is Baggs. 3509 Land Court is in the East School Triad which includes Carey Junior High and East High School. Similar listings to see are 4503 Van Buren Ave and 1008 Arcadian Drive. This home is offered by Luis Mendoza, Cheyenne WY Realtor for $249,900. Connect with Luis today to schedule an appointment to discuss your real estate needs and dreams, whether you are buying a home or selling a home let him work for you! He specializes in residential homes sales, townhomes, new construction and land. Visit him online or give him a call at 307-275-0162.